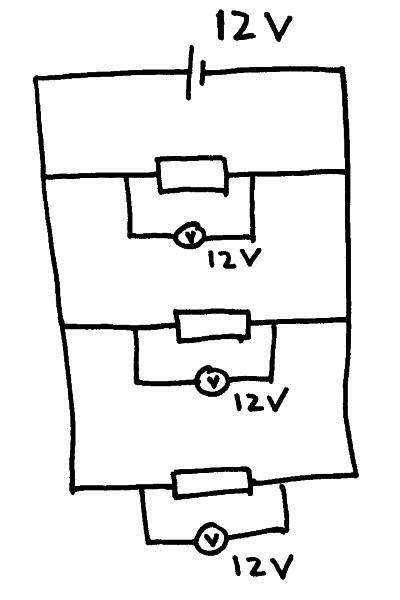 When identical cells are in parallel with each other the total potential difference supplied to the circuit is equal to the potential difference of just one of the cells. 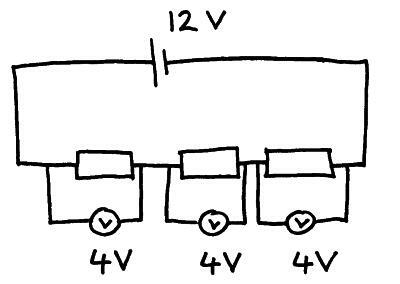 So if three 2V cells are connected in parallel with each other the potential difference supplied to the circuit is 2V. 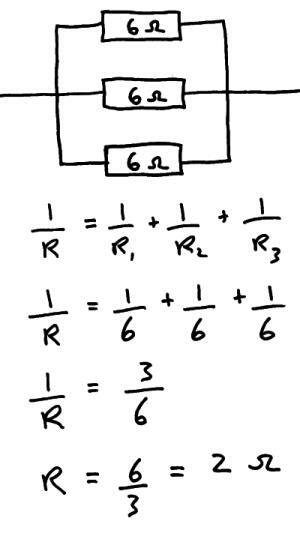 When resistors are in parallel with each other there total resistance is found using the equation below. 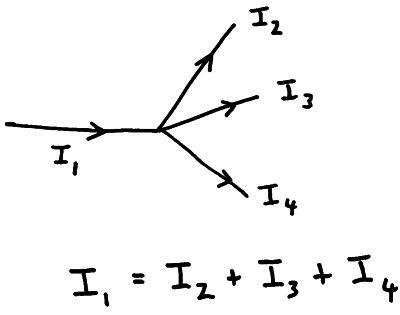 Conservation of charge – ” the total charge flowing into a junction of wires must equal the total charge flowing out of the junction”. 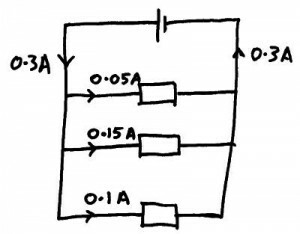 Kirchoff’s first law – “the sum of the currents flowing into a junction of wires must equal the sum of the currents flowing away from the junction of wires”. When you put an ammeter into a series circuit the current is the same wherever you put the ammeter. 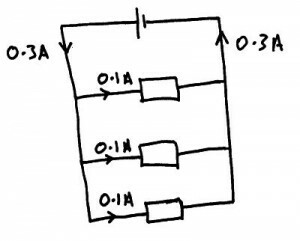 The total current flowing from the cell towards the branches in the circuit must always equal the current flowing through each component in the branches of the circuit when they are added together. Kirchoffs second law – ” the sum of the Emf’s in any closed loop in a circuit must be equal to the sum of the potential differences in the closed loop in the circuit”. 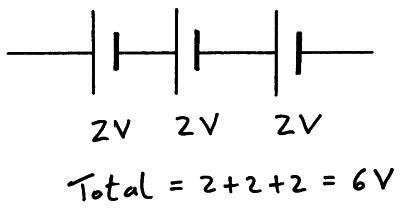 Potential difference in a series circuit. The total potential difference supplied by the cell is divided up between the components. 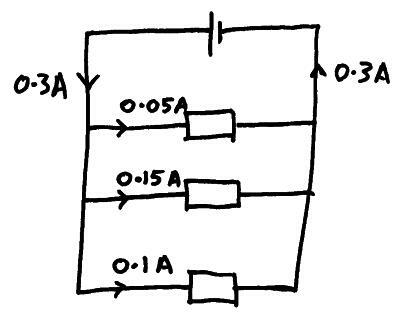 If the components all have the same resistance they will have equal amounts of potential difference across them. 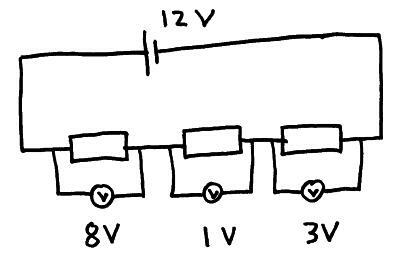 Potential difference in parallel circuits. 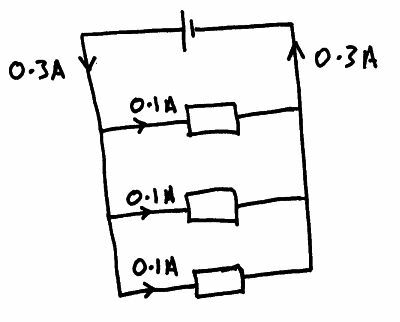 The potential difference supplied by the cell is the same potential difference as that across each component in the parallel circuit.